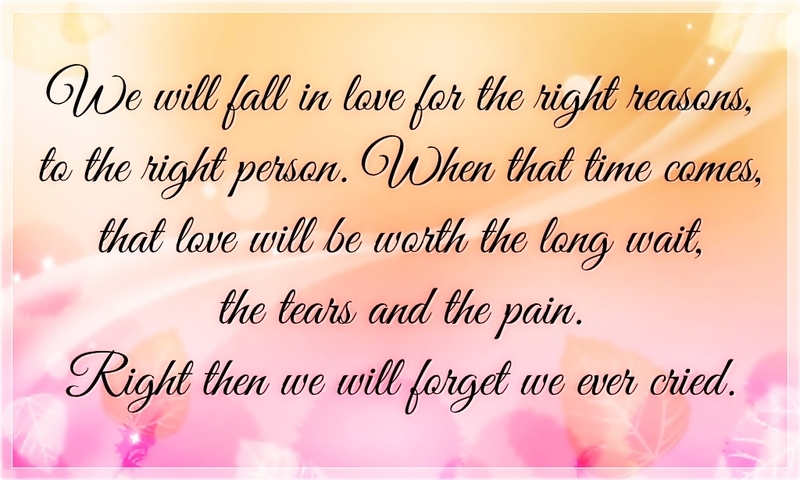 We will fall in love for the right reasons, to the right person. 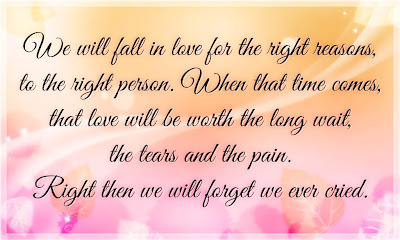 When that time comes, that love will be worth the long wait, the tears and the pain. Right then we will forget we ever cried.